The Silence of the Pandas became a German bestseller in 2012. 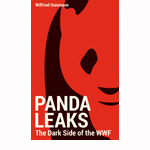 A series of injunctions and court cases launched by WWF delayed publication of the investigative report into English. A revised English edition, renamed Pandaleaks, has recently been published. The journalist and filmmaker Wilfried Huismann exposes how the WWF, the renowned global nature conservancy brand, greenwashes ecological crimes committed by corporations. Examples include corporations involved in destroying the last remaining rainforests and natural habitats on earth; and WWF accepts their money. This business model of the famous ‘eco’ organization does more to harm nature than to protect it.